TVS Motor Company launched the new 2014 TVS WEGO in Mumbai today. The new WEGO gets the finest from the world of engineering, and comes spruced up a wide array of new features and zesty colours. 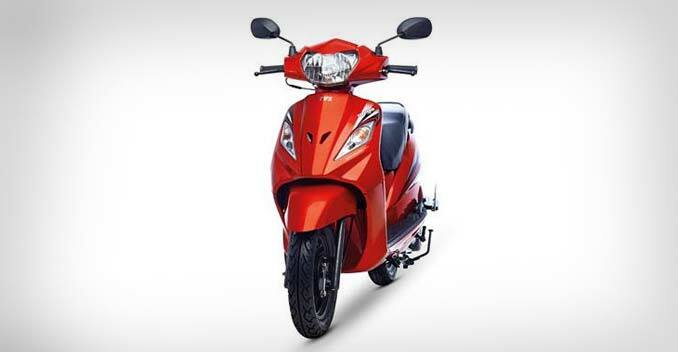 The WEGO is now the only all metal bodied scooter in India that offers a comforting blend of style, power and mileage. New features found on the WEGO now includes a fully digital console, tubeless tyres, parking brakes, stylish new muffler and the TVS-patented econometer. The scooter also gets fresh monotone graphics along with new dual-tone colours. The company claims that new WEGO is now powered by an improved, noise-free, all-aluminum, low-friction engine that offers better performance. Its 110cc engine's power output is rated at 8bhp @ 7500rpm. It also gets 12-inch alloy wheels, telescopic front suspension and gas filled rear shock absorbers. Furthermore, it also sports multi-reflector halogen headlamps and a LED tail lamp with optical guides that further emphasize the WEGO's styling. 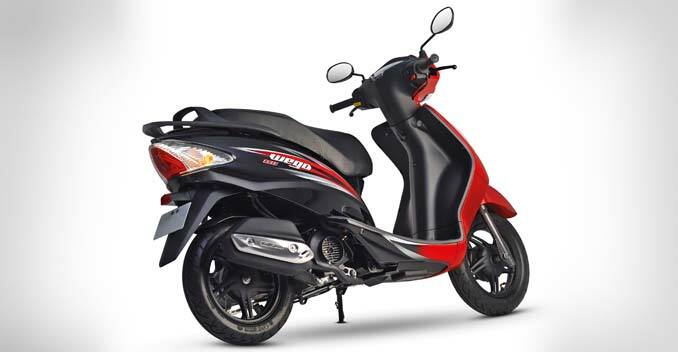 The WEGO received the prestigious India Design Mark (I Mark) by the India Design Council, thanks to its sharp-edged design and styling. The TVS WEGO also offers an ace mileage of 62km/l to go along with its broad range of modish features. The 2014 TVS WEGO is now available at TVS dealerships with a price tag of ₹ 46,410 (ex-showroom, Delhi).